Document Management System » customer data » Why Custom CRM System is better than the Off-the-Shelf One? Home » customer data » Why Custom CRM System is better than the Off-the-Shelf One? Why Custom CRM System is better than the Off-the-Shelf One? Businesses nowadays are in a deep need of implementing customer relationship management system as it makes deals go smoothly, increases business efficiency and improves work effectiveness. However, there are different types of customer relationship management the custom CRM system and the off-the-shelf one. But, which is better and why? Well, custom CRM system is better in most cases. 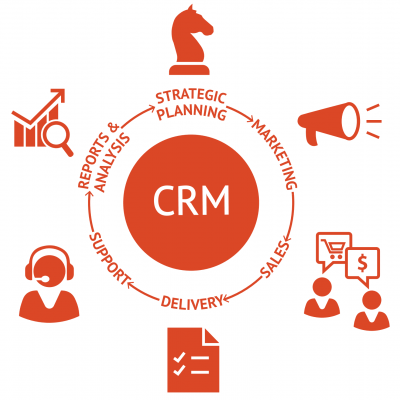 Why Custom CRM system is better than the Standard One? By using a custom CRM system, you’re the one in charge of everything regarding the sales deals. So, you can assign specific tasks to specific employees using the software. Off-the-Shelf CRM system can be better than the custom CRM system in case that your business requirements are too generic and fixed. So, you will find the functions and features you’re looking for in the off-the-shelf CRM.